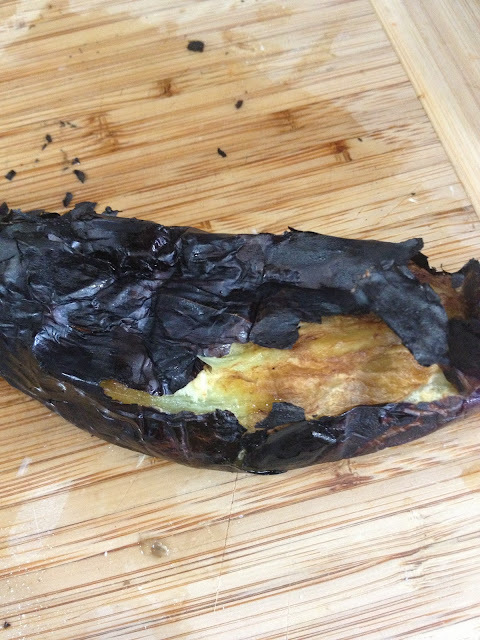 Well my eggplant is doing amazing in the garden, the best of all of my veggies this year, and I was looking for a new way to prepare it. 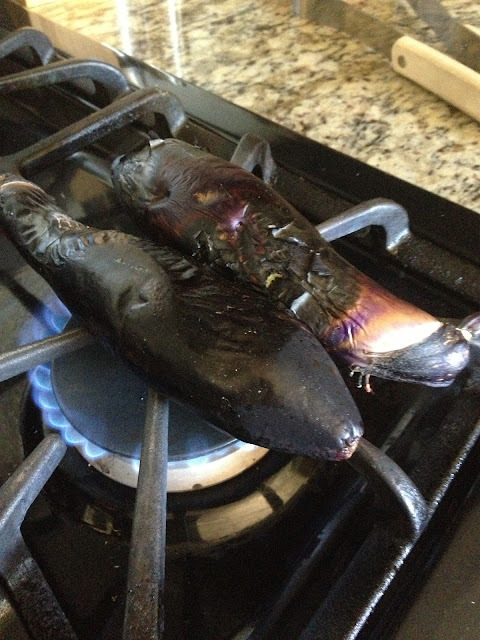 We will usually just slice it and grill it with some lemon juice and olive oil, or occasionally I will fry it up and make an eggplant parmesan, but my eggplants are the thin and long variety so they are not great for slicing and frying. 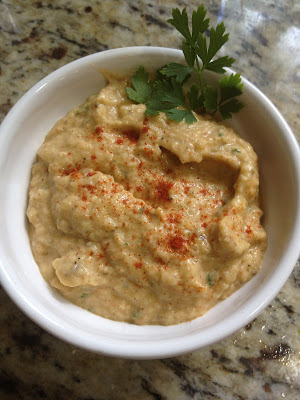 Baba Ganoush is an eggplant dip - similar to hummus only minus the chickpeas. 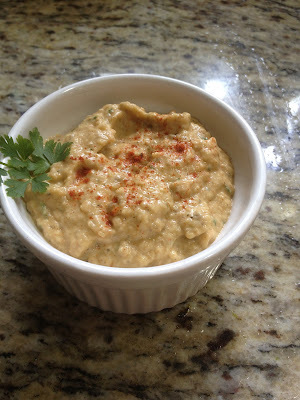 It is smoky and creamy and really delish! 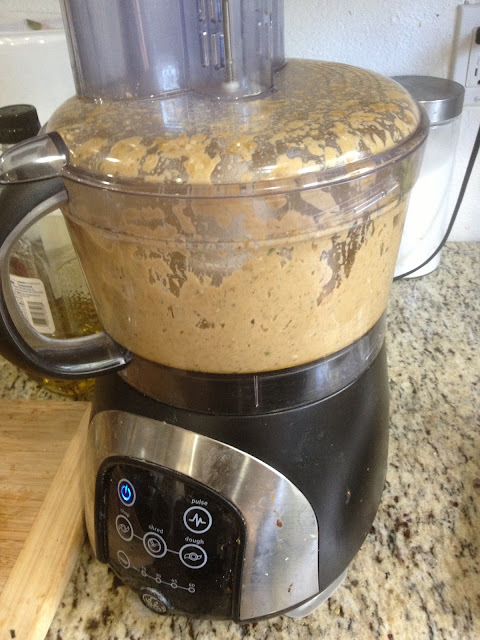 I decided not to use tahini, but just a little sesame oil because I didn't want it to taste like hummus, I wanted it to taste like eggplant. 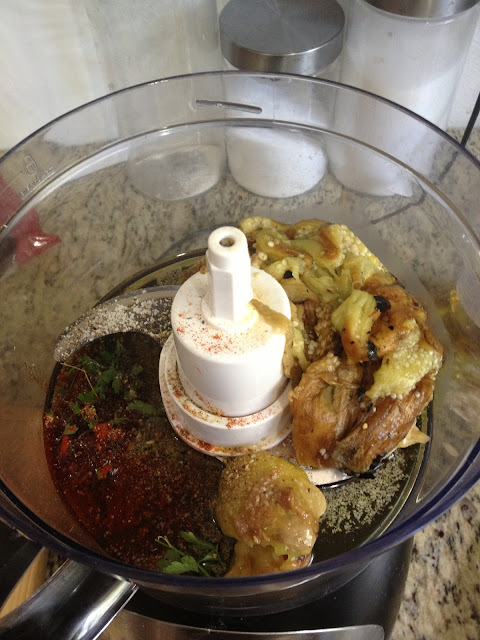 4 cloves roasted garlic (Roasted Garlic) with oil. It should be softened completely. 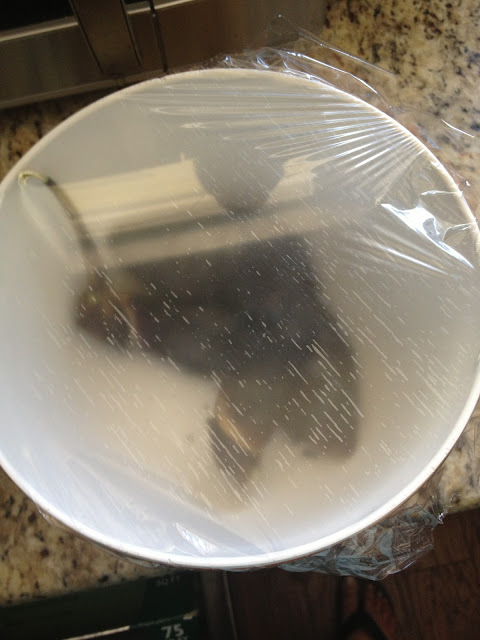 Let cool in plastic bag or bowl covered in plastic wrap. Remove all skin from eggplant and scoop out the meat. Salt lightly to draw out water and then place in a strainer to drain for 20-30 mins. 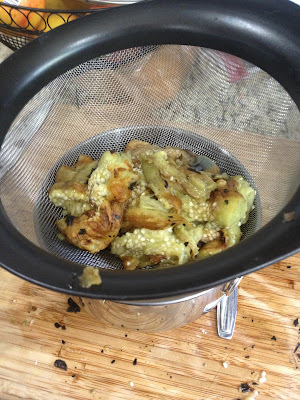 Place all the ingredients into the food processor except the goat cheese. Blend until smooth, add more olive oil if not smooth enough. Then add in the goat cheese and pulse until combined. Let sit for 2-3 hours to develop flavors. Can be eaten warm or cold with crackers, veggies or a spread for a sandwich.